Alex is a young woman in Paris, a pretty girl, full of life. One night, after she’s eaten a nice dinner, a giant of a man kidnaps her. He beats her, drags her into an abandoned warehouse, and beats her some more for good measure. He makes her strip naked, then loads her into a crate. He tells her that he intends to watch her die. Once Alex is secured in the cramped, sturdy crate, the man winches it high above the floor. Over the next few days, he comes and goes, just checking to make sure Alex is dying slowly. She is. A police Commandant named Camille Verhoefen is assigned the case. He has a rough time handling kidnapping cases. His beloved wife was kidnapped a few years ago, and his mental scars run deep. His boss assures him it’s just for a few days. Camille hangs his head, and goes about the process of finding Alex. One problem is that nobody has reported Alex missing. A passer-by witnessed the kidnapping, but Camille has no idea who the victim is, much less where she is, or who kidnapped her. While Camille tries to uncover the truth, Alex continues her imprisonment in the suspended crate. The man stops coming to see her. Her only visitors are the hungry, vicious rats who climb down the rope on to her crate. She’s terrified, but manages to conceive an escape plan that is simultaneously ingenious and horrifying. 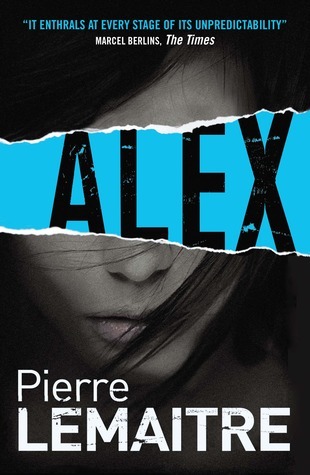 Pierre Lemaitre’s thrilling new mystery, “Alex,” reminds me of those Russian nesting dolls. You hold one doll in your hand. Then you open it, and there’s another doll nestled inside. Then a third, a fourth, and so on. Alex’s kidnapping is the outer doll. For every case Camille and his fellow officers solve—or come close to solving—there’s another mystery revealed inside. Alex is no ordinary kidnapping victim, you see, nor is her kidnapper any ordinary goon. As Camille tries to find Alex, he finds himself growing more perplexed, and the body count rising ever-higher. “Alex” kept me absolutely spellbound. There were numerous times where I said something like, “Wait, what? Are you kidding me?” as yet another plot twist unfolded. This never felt forced—the story unfolded naturally. It was just onion-like: peel away one layer, and there’s another. When you think you’ve figured out who the truly bad person is, you discover you’re wrong. Bloody brilliant storytelling. There are a number of wonderful threads woven together in “Alex.” The downside to that is that there are accordingly a number of spoilers I can’t give away. All I can do is recommend the hell out of “Alex,” and hope that Pierre Lemaitre is currently busy writing a new, equally spectacular mystery. This entry was posted in Best Books of the Year, Books, Mysteries/Thrillers, series. Bookmark the permalink.